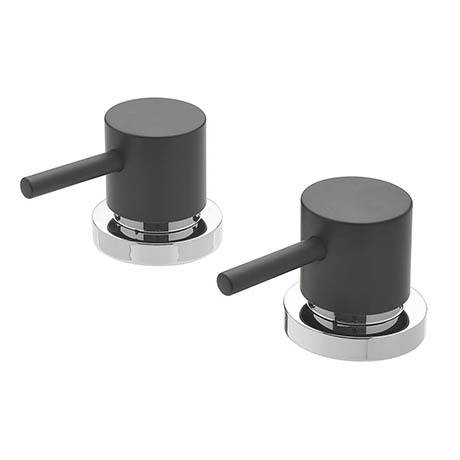 The Milan black deck mounted side valve from Tre Mercati, this sleek contemporary tap range brings a bold and stylish look to any bathroom - These side valves are for baths with two tap holes. They are ideal for use with a combined bath filler waste or bath spout (sold separately). Tre Mercati design and manufacture their products using the finest methods and materials to ensure a high quality product.